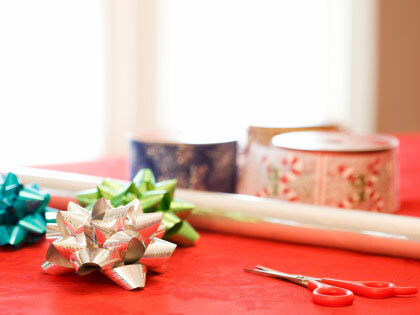 Wrap Christmas presents for free for mall shoppers. Arrange this with your local mall in advance, and set up a wrapping table in a central area. Ask the business office if there’s a way you can advertise your free service at various points in the mall, or at the main entrances of large department stores.